Am I a little weird for liking cemeteries? A few months ago my aunt and uncle stopped by the area for a quick visit, and they needed to visit a local cemetery where a few distant relatives were buried. 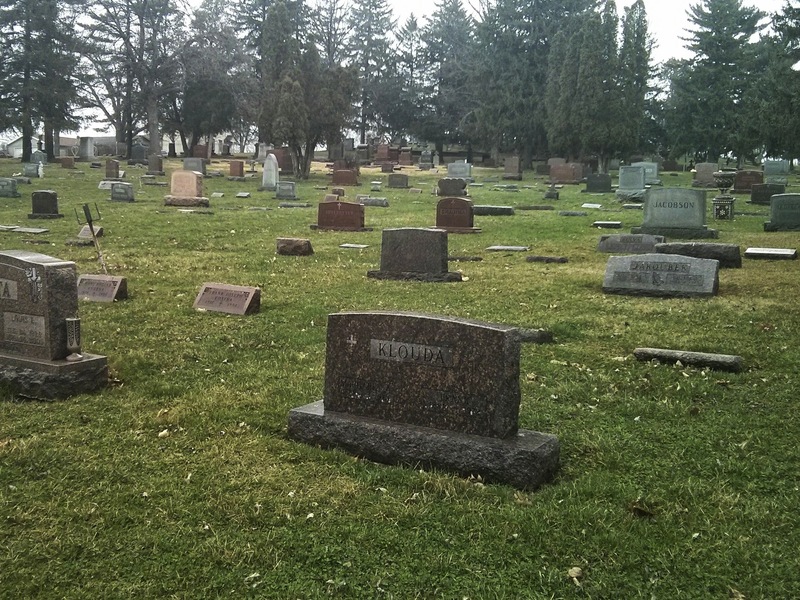 The search for about half a dozen tombstones was peaceful and interesting. I love reading the headstones because I can feel there’s some interesting stories. So many stories, but so much silence. I’ve always had a fascination with cemeteries. I believe I was still in high school when an older church member passed away. We weren’t close, but we knew each other and exchanged pleasantries. His passing saddened me, of course, but I don’t think it made a huge impact on me. Still, for some odd and strange reason, I felt drawn to the cemetery where he was buried. Maybe I biked to the cemetery to collect my thoughts or escape the every day noise, but I felt at peace and so calm whenever I visited. 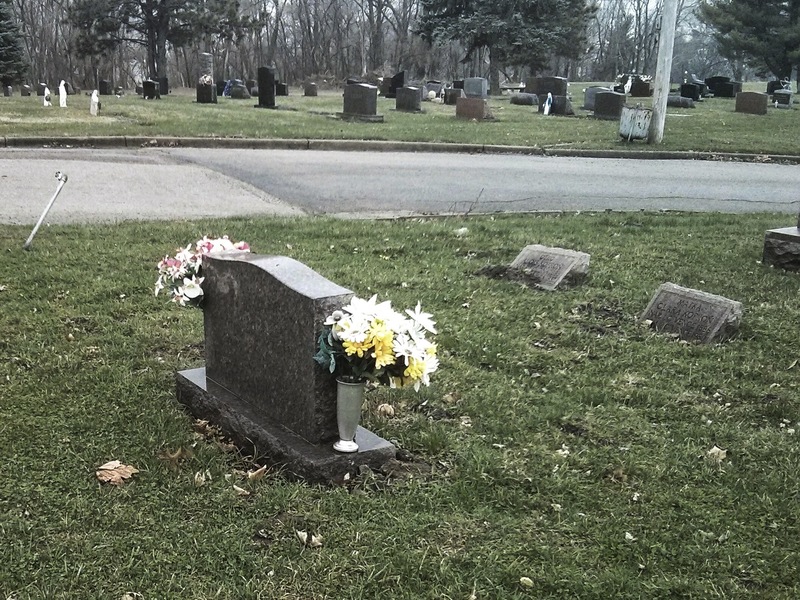 After planting fake flowers at the grave to make it look pretty, I usually talked about what was happening at church and school and other miscellaneous stuff. Sometimes I brought extra flowers and planted them on other empty graves. Anyway, my aunt and uncle wanted to visit one of the local cemeteries to provide more family history for one of the ancestor web sites. 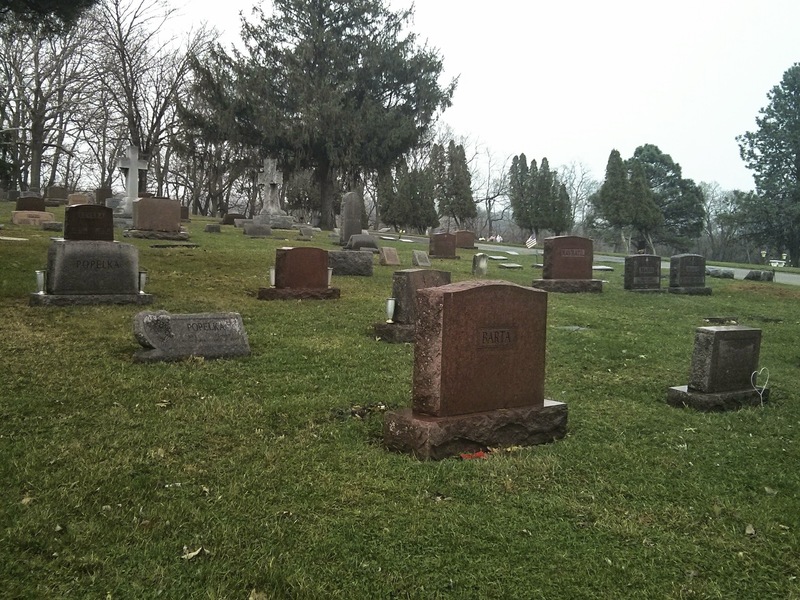 We spent a few hours walking around the cemetery and looking for certain headstones. The day was gloomy and a little rainy, but I had a peaceful and nice time. I enjoyed walking around and wondering about all the untold stories. I love cemeteries too. It was the place in my hometown when I would walk to just like you. I still love wandering around and, like you said, thinking about all the untold stories. Thanks for sharing! !